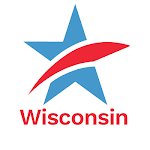 In an astonishing action today the Wisconsin Legislature's Joint Committee on the Review of Administrative Rules (JCRAR) voted to forward draft legislation (LRB 2254) that would strip the non-partisan Wisconsin Government Accountability Board (GAB) of the ability to promulgate any rule affecting the ability of any corporation to engage in independent spending in a Wisconsin election including requiring any registration or reporting of that campaign spending that is not currently included in Wisconsin campaign law. The effect of this law would be to allow corporations to spend as much as they want from their general treasuries and not be required to tell the voters of Wisconsin the source of that funding. This measure comes as a "reaction" to a rule promulgated by GAB that briefly went into effect on August 1st of last year that would have required all entities who engaged in campaign spending 60 days or less before an election to disclose the source of that campaign funding. The Wisconsin Supreme Court blocked the rule from being in effect last August 12th and it has been in "limbo" since. Republicans on JCRAR said this measure was needed because the GAB rule placed undue and burdensome restrictions on Wisconsin citizens -- especially the individual citizen who might want to post a sign on their barn or property in favor of a candidate or who might want to engage in singing in the Capitol. Of course, this measure would go much, much further by prohibiting GAB from regulating citizens and corporations in any way. It is a completely disingenuous and outrageous attempt to allow corporations to forego having to disclose their campaign donors. And, the measure may be unconstitutional. In January of 2010 the United States Supreme Court issued the now infamous Citizen United vs. F.E.C. decision on a narrow 5 to 4 vote which opened up corporate and union general treasuries to be able to engage in unlimited outside spending to influence federal and state elections. But, in that same decision, the nation's highest court voted 8 to 1 to permit Congress and states to require that the campaign spending from the general treasury of the corporation or union be transparent and that the donors be identified to voters if that campaign spending occurred 60 days or less prior to an election. But the measure forwarded by JCRAR today prohibits the GAB from requiring even that disclosure. The vote was 6 in favor of forwarding this horrendous measure and 4 opposed, with the six Republican members all voting for and the four Democrats against. The measure now will be sent to standing committees in the State Senate and the State Assembly that have jurisdiction over campaign finance laws. If this measure becomes law, the GAB would become as powerless and as ineffective as the old State Elections Board and State Ethics Board that the GAB was created in 2007 to replace. And it would allow corporations to spend even more freely and without disclosure of where their money is coming from than they can even now. In short, it would be a disaster for Wisconsin. Contact your State Senator and your State Representative and tell them to oppose this misguided measure. Tell them you oppose LRB 2252 and you demand that they do as well. If you are not sure who your State Senator and State Representative is, go here. Legislative Committee Votes to Advance Bill to Allow Corporations to Evade Election RegulationsTweet this!